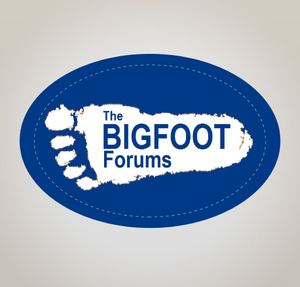 The Bigfoot Forums is a community funded website. All donations go to pay for the resources necessary to make it work and are greatly appreciated. 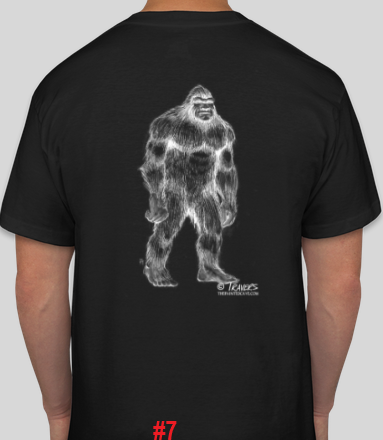 The T-Shirts offered below are a limited production, only 25 of each will be made to help fund the BFF for fiscal 2019. Next year there will be a different design. Get yours while they are available! We thank Pete Travers for allowing us to use his artwork from the Sasketch Project. Pete's artwork is awesome. He has been the Visual Effects Supervisor for many blockbuster films like The Lord of the Rings, The Aviator, Harry Potter, The Matrix, Stuart Little, Road Trip and many more. We also thank long time BFF member Pat Beaton for allowing us to use his great photographs on our 2019 Calendar. Thank You for Supporting the BFF! Please send money order and leave the "payable to" blank. Include a note with your BFF username so we know who donated. To receive your gift, please include a shipping address, gift choice and size.